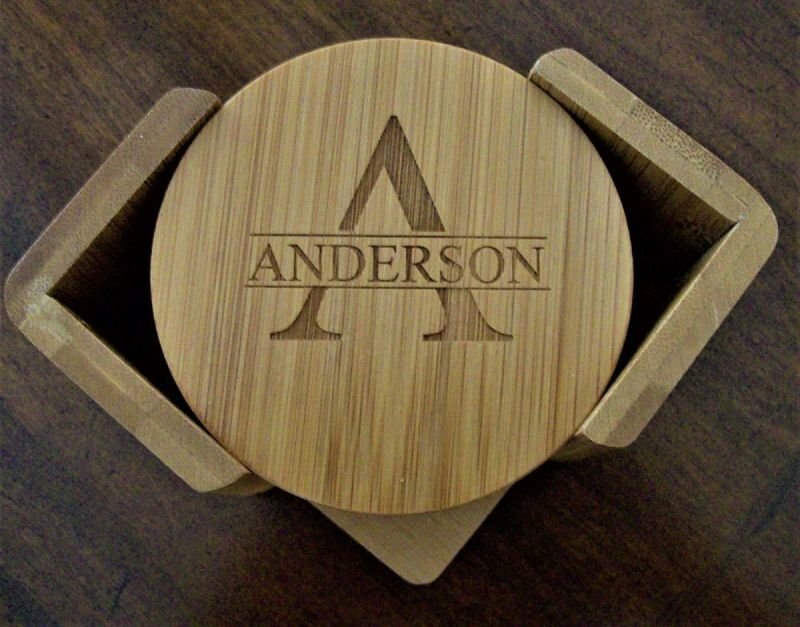 Free personalization with your order of our round bamboo coaster set that includes a holder and 6 coasters. 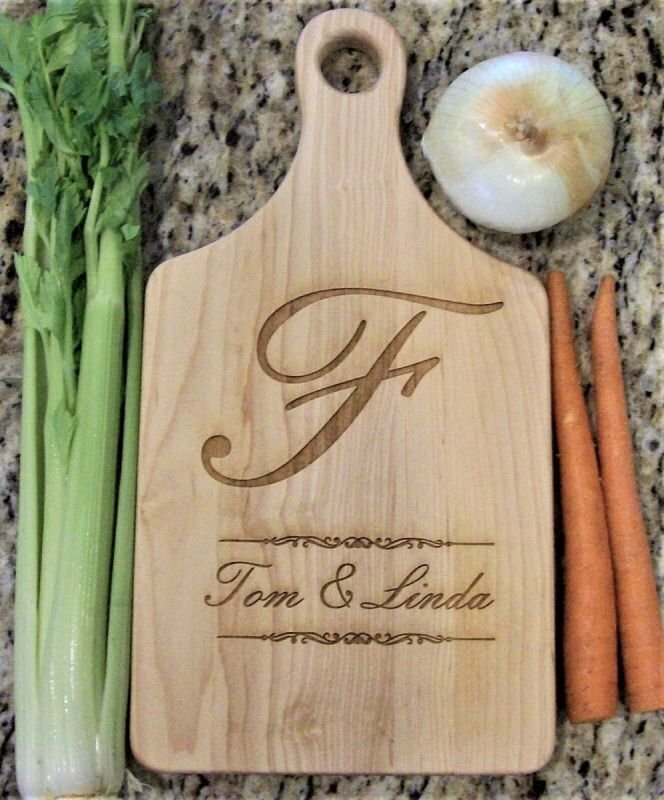 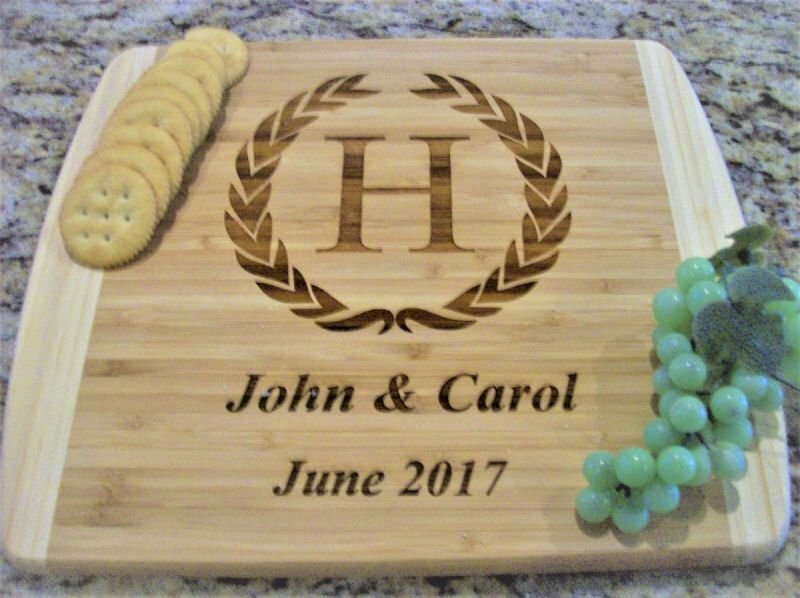 Makes a great wedding gift, a wonderful Christmas gift, a gift for that special someone for their birthday or anniversary, a special gift for any occasion. 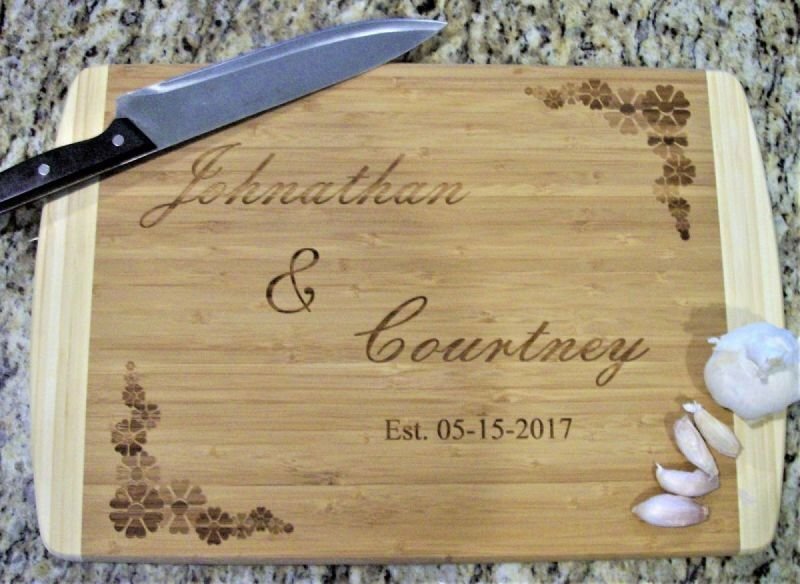 Coasters are approximately 3.75 inches. 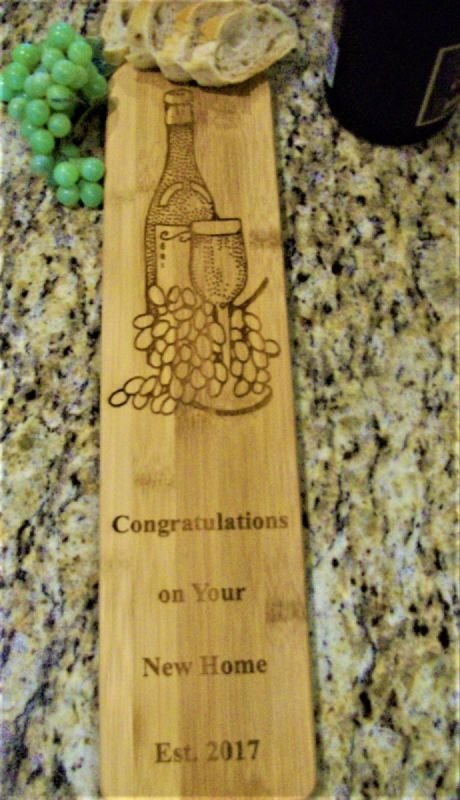 Each coaster is personalized (All 6 coasters must have the same personalization) Call for discounts on 3 or more sets.